Fine cloth copy in an equally fine dw. Particularly and surprisingly well-preserved; tight, bright, clean and especially sharp-cornered. ; 349 pages; Description: xiv, 349 p. Illus. 22 cm. 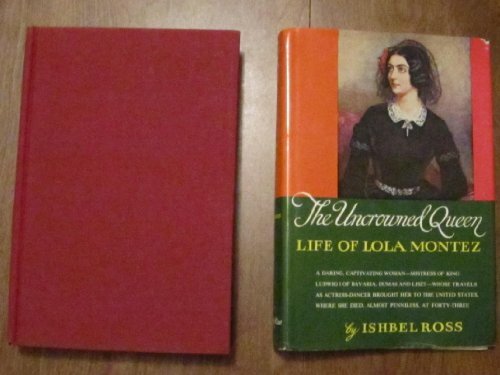 Subjects: Montez, Lola 1818-1861. Entertainers --Great Britain --Biography. Courtesans --Biography.